Since 1971 when they started playing together, the Fischer Duo has delighted lovers of chamber music across the country with performances described as "boldly imaginative and technically assured," (Boston Globe), "intense and persuasive" (Gramophone), and "Soaring lines with both beauty and intensity" (New York Times). 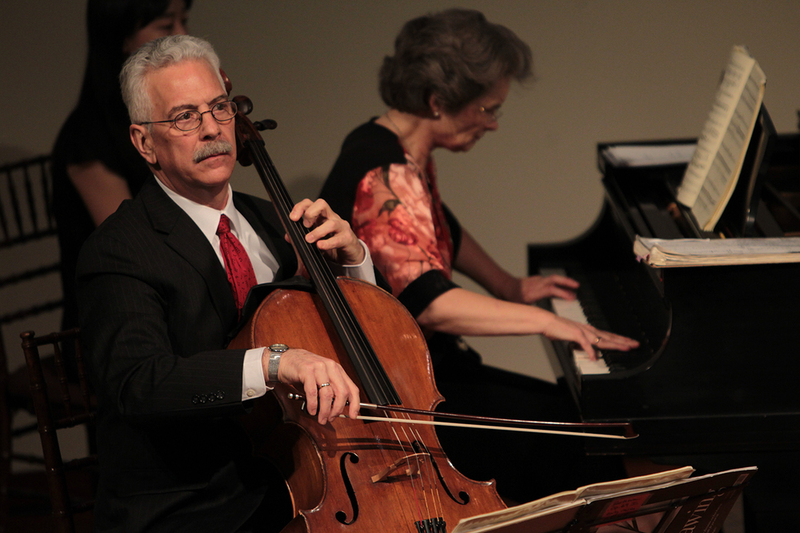 The Fischer Duo has been widely praised by music critics for its choice of repertoire. Thoroughly versed in the classical repertoire of Brahms, Beethoven and Schumann, the Fischer Duo has acquired an equally impressive reputation for rediscovering neglected works of the past (Busoni, Boulanger, Foote, Alfano, Pizzetti) and for commissioning new pieces from masters such as George Rochberg, Richard Wilson, Samuel Jones, Augusta Read Thomas, Pierre Jalbert and over 20 more. 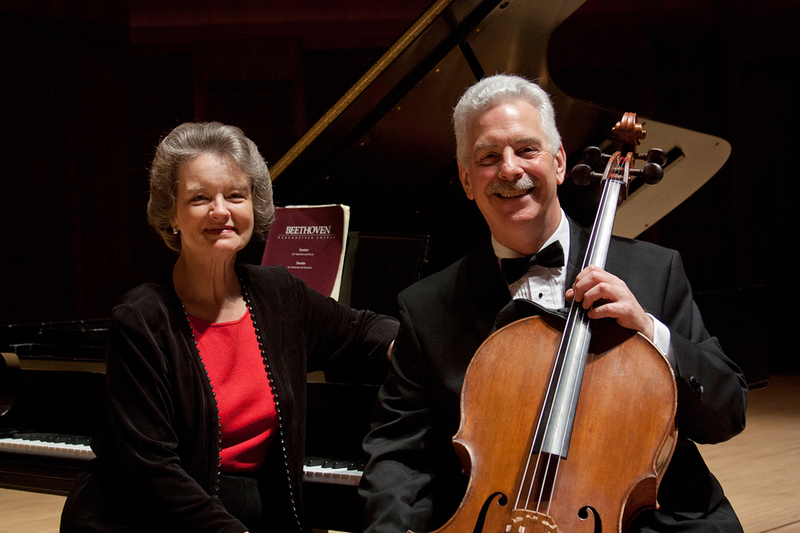 "One felt like applauding the Fischer Duo before they even played a note for programming rarely-heard cello music by Chopin and Liszt," wrote a reviewer in the Washington Post, A recital of this exact repertoire is available on Bridge Records (9187) and has received rave reviews from Strings Magazine and The Gramophone. The Fischer Duo's extensive discography includes their CD debut, Imaginées: Music of French Masters, which was given Fanfare magazine's highest recommendation: "For fine sound, on top of probing duo teamwork and elegant program-making." They have three recordings available on the Gasparo label. American Music in the 1990s [GSCD-349] includes commissioned works for the duo by George Rochberg, Pierre Jalbert, Samuel Jones, and Augusta Read Thomas. The Strad magazine wrote of the disc, "The duo gives thoroughly persuasive performances of all four works, scratching through the surface gesture to get to the heart of the music's expressive potential." Also available on Gasparo is Robert Sirota: Works for Cello [GSCD-350] and Born in America in 1938 [GSCD-351] featuring works by William Bolcom, John Corigliano, Ellsworth Milburn, John Harbison, Joan Tower, and Charles Wuorinen. In addition, the Fischer Duo released Chopin & Liszt: Music for Cello and Piano, on the Bridge label (Bridge 9187). Strings magazine called the disc, "A most impressive record, both for the music and the playing." A new compilation of William Bolcom’s cello music is now available on the Naxos label (a four star rave from BBC Music Magazine). 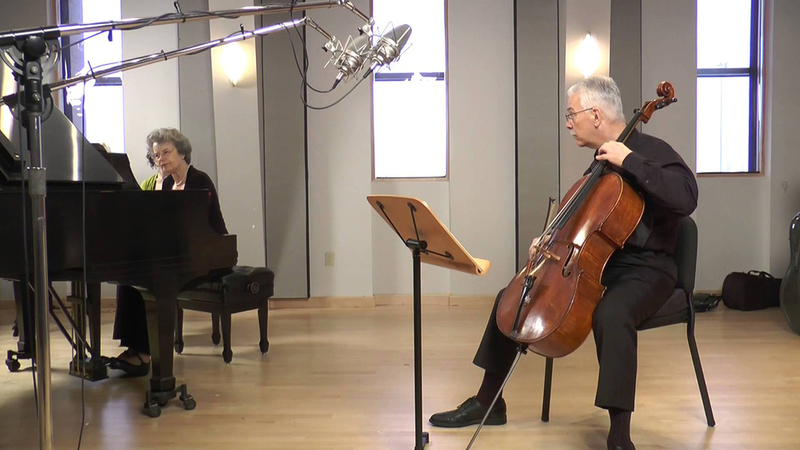 In 2014, The Fischer Duo's most ambitious recording project to date, the 4-CD set Beethoven: Cello and Piano Complete (Centaur), was met with wide acclaim from the press. The Fischer Duo is also known for enlightened residency work. The United States Information Agency (USIA) selected the Fischer Duo as Artistic Ambassadors and they toured South America and South Africa receiving the highest ratings for musical maturity and open access to audiences. The critic from the Toledo Blade summed up a concert experience with the Fischer Duo: " If there was a prize for Most Elegant Sound by a Chamber Group, the Fischer Duo would surely win it. The two together have a sort of slow-burning combustion on stage that makes for some really exciting and spontaneous music. This is a pair that really knows their repertoire, and more importantly, knows how to absorb an audience into their own musical universe." The most complete collection of Beethoven’s music for the medium. In addition to the iconic five sonatas and three sets of variations, the duo includes the Sonata Op. 64 (arrangement of the String Trio Op. 3), the Sonata Op. 17 (the horn sonata in Beethoven’s arrangement for cello), the “Kreutzer” Sonata Op. 47 (in arrangement by Carl Czerny) and the premiere recording of the “composing score” of the first movement of the A Major Sonata, Op. 69. This disc focuses on works commissioned by the Fischer Duo by George Rochberg, Samuel Jones, August Read Thomas and Pierre Jalbert. The CD gathers works by American giants born in the same year: John Harbison, Joan Tower, William Bolcom, Charles Wuorinen, John Corigliano, and Ellsworth Milburn. Was there something in the water? 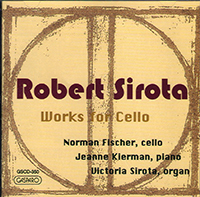 Sirota's Works for Cello features compositions written for cellist Norman Fischer, the result of a long-time friendship and a professional association dating back to their college days at Oberlin College. Tracks include Fantasy for Cello and Piano, Easter Canticles for Cello and Organ, Prayers and Lamentations, and Sonata for Cello and Piano. Included are Sonatas by Debussy and Poulenc, Georges Auric Imaginées II, Nadia Boulanger Trois Pièces, Messiaen Louange from Quatour pour la fin du temps, and Ravel/Fischer Don Quichotte à Dulcinée. The music of the young Iraqi-American composer Karim Al-Zand has been called strong and startlingly lovely by the Boston Globe. His compositions are wide-ranging, from settings of classical Arabic poetry to scores for dance and pieces for young audiences. This recording, his first for Albany Records, shows his love for chamber music and small instrumental ensembles. The five works featured on this CD cover a broad span of time (1999-2003), and reflect a developing aesthetic. This music summarizes Chen's development and comes out of a desire to create works that assimilate her Chinese heritage and her training in Western art music. Like the interaction between yin and yang, these two opposing yet complementary forces continue to shape Chen's aesthetic and her music, resulting in music that explores the representation of "Chineseness" within predominantly Western compositional frameworks. We're looking forward to a full residency starting Sept 7 in Singapore!